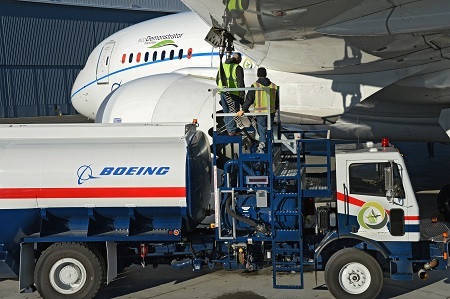 Boeing claims to have completed the world’s first flight using ‘green diesel’, a sustainable biofuel that is widely available and used in ground transportation. 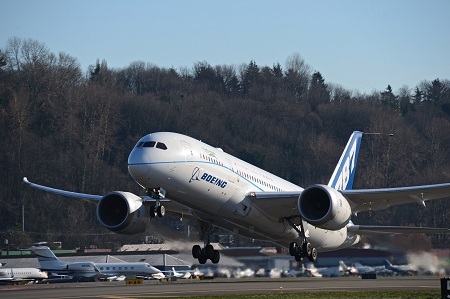 The company powered its ecoDemonstrator 787 flight test aircraft with a blend of 15 per cent green diesel and 85 per cent petroleum jet fuel in the left engine. 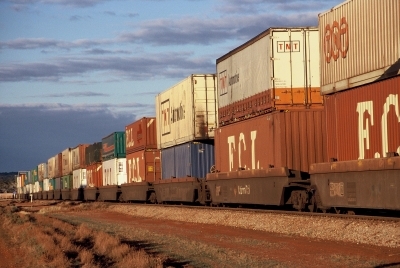 Sustainable green diesel is made from vegetable oils, waste cooking oil and waste animal fats. Boeing previously found that this fuel is chemically similar to HEFA (hydro-processed esters and fatty acids) aviation biofuel approved in 2011. Green diesel is chemically distinct and a different fuel product than biodiesel, which is also used in ground transportation. With production capacity of 800 million gallons (3 billion litres) in the US, Europe and Asia, green diesel could rapidly supply as much as 1 per cent of global jet fuel demand. With a wholesale cost of about $3 per gallon, inclusive of US government incentives, green diesel is approaching price parity with petroleum jet fuel. Green diesel is among more than 25 new technologies being tested by Boeing’s ecoDemonstrator Program aboard 787 Dreamliner ZA004. The program accelerates the testing, refinement, and use of new technologies and methods that can improve aviation’s environmental performance. On a lifecycle basis, sustainably produced green diesel reduces carbon emissions by 50 to 90 per cent compared to fossil fuel, according to Finland-based Neste Oil, which supplied green diesel for the ecoDemonstrator 787. The flight test was coordinated with the US Federal Aviation Administration, Rolls-Royce and Pratt & Whitney, and EPIC Aviation blended the fuel.